Home Technology Is Tunisia the next space giant from Africa? The African Space Industry is progressing significantly with more investments, more opportunities and more players joining the race – the latest of which is Tunisia, a North African country bordering the Mediterranean Sea and Sahara Desert. After a successful democratic transition following the revolution in 2011, Tunisia is securing a prominent economic position in the region. The African country is now gathering pace to generate sustainable growth based on high value-added activities and private investment. 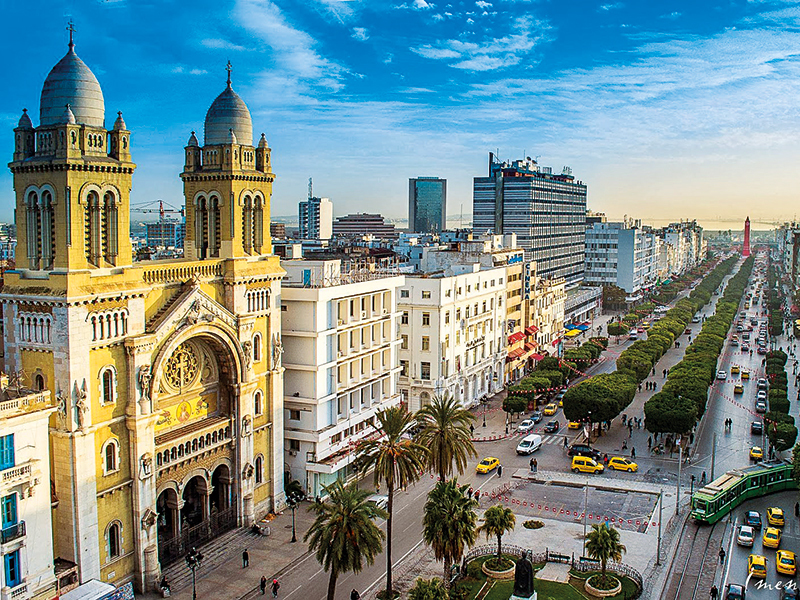 Today, almost 3,500 foreign companies operate in Tunisia, where confidence is boosted by political stability, as well as the multiple opportunities available to businesses. Many investors are already betting on Tunisia; in a clear indicator of confidence, 90 percent of new foreign investments are extensions of existing projects. Last year, a company named Sfax Technopole signed a partnership deal with Telnet and Aerospace Valley Toulouse with the aim of making the Sfax Technopole a center of space, courtesy of the partnership between the Telnet Group and the European leader Airbus Safran Launchers. This is the first major private space investment to be made in Tunisia. and it marked the beginning of an exciting journey in the Tunisian space sector as it led to the commencement of work on the development of the first Tunisian Satellite. This also include the design and construction of an assembly, integration and microsatellite testing facility and the implementation of an engineering center for microsatellites at the Sfax Technople. The engineering centre will have three main missions: engineering and satellite design, research and patents in the field of space and the development of innovative services in space. This project is expected to create 500 direct jobs from 2018 and 1000 to 2000 indirect jobs (including researchers, industrial partners, subcontractors, service companies, etc). While South Africa is winning the small satellite race in Africa, Tunisia has developed a roadmap that could allow them catch up as fast as possible. Tunisia would become the second African nation with satellite assembly, integration and testing facility in Africa after South Africa – although Nigeria is also currently building one of such facilities in Abuja. Sfaz Technopole specializes in information technology, communication and multimedia. It hosts activities in the field of academic training, research and development, innovation and technology transfer while Telnet Holdings is the parent company of a group of companies recognized for its expertise and expertise in research and development in product engineering, electronics and mechanical engineering in various fields such as aerospace, defense, avionics and security. Telnet Holdings is providing funds for the development of the satellite, the amount of which is currently undisclosed.